Slow day on the forum. Here's a little action from last weekend. Just wish my photographer would have told me to pull down my shirt so I didn't look like quite such a gomer. 36" or so. Its a good picture. I was pretty happy though, haven't gotten the tipups out in a while so I'm calling it a win. 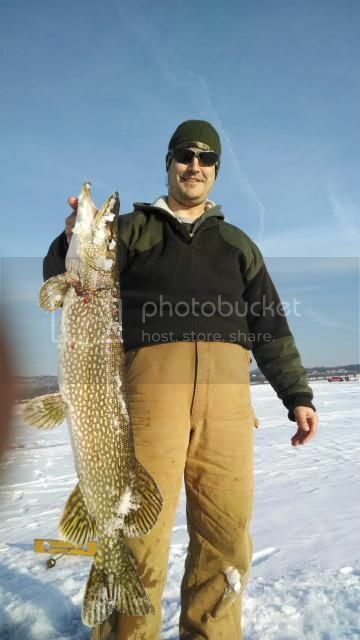 nice pike jared, and u are allowed to look like a gomer when the pike exceeds 35"